Welcome to Breckenridge, arguably the most beautiful and easily one of the most historic ski towns in the United States. Also, at 9,600 feet, it is one of the highest. Even though you can expect a lot of sunshine, even in the heart of winter (don’t forget your sunscreen! 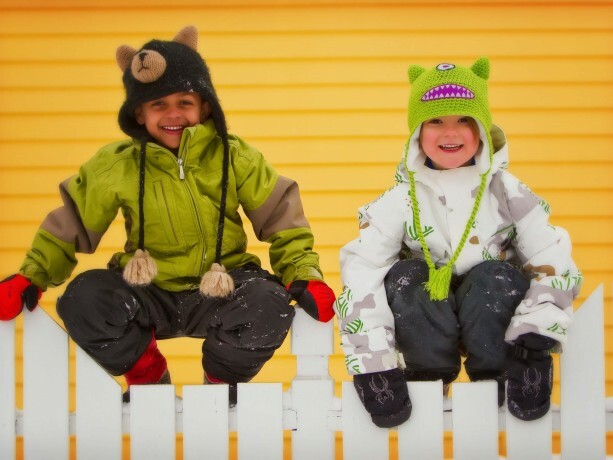 ), it’s cold, so bring your warm clothes and get ready for a ski vacation unlike anything else. Here’s where to eat, where to stay, how to rent, and everything else you’ll need in planning your Breck vacation. First things, first … where are you parking your suitcases? The Village at Breckenridge offers affordable family-style accommodation, sweeping views of the ski area and is about as convenient as it gets. The Beaver Run Chairlift is just steps away making access to the mountain perfect. Oh yes, and there’s a hot tub! Rather than risking the possibility of waiting with a crowd to rent your skis and board in the morning, which is especially daunting if it happens to be a powder day – get your gear right when you roll into town. With seven locations, Breck Sports has a massive quiver to choose from, including brand new demo models, and offers specials for multiple day rentals as well as 20 percent off. Breakfast: You’ll want a good breakfast before getting on the mountain – its great way to maintain strength and energy on the slopes. The Blue Moose at the south end of Main Street has awesome coffee and omelets – key for maintaining leg power and endurance. You can of course buy your lift ticket right at the ticket window but will get a better deal for the more days you ski if you buy them online. Don’t forget to grab a trail map and start right out your door on Peak 9, which has several gliding beginner runs. Also, resort ambassadors stationed at the base of the mountain offer free one-hour group tours. By the time lunch rolls around, go for homemade soup or pizza at Seven’s and then spend your afternoon cruising Peak 7’s wide open, rolling blue runs. If you’re up for après entertainment, there’s live music at The Maggie at the base of Peak 9. For a casual, affordable dinner, two of Breck’s well-traveled mainstays – Downstairs at Eric’s or Fatty’s Pizzeria – offer excellent food and a lively, family atmosphere. Let’s give the legs a rest today and explore town. Start with breakfast at Columbine Café – cozy and yummy – and work your way up and down Main Street, where you’ll find everything from the latest in outdoor gear and also art galleries and designer boutiques. The best souvenir you could possible bring home however, is a ceramic bowl or mug with your very own painting on it. Ready, Paint, Fire on Main Street is a fantastic winter afternoon outlet for family craft time and self-made souvenirs. Now that your body has had a rest, you’re ready to take a breath of high elevation air and hit the slopes again. If you’re feeling more daring, find your way to Peak 10’s steep but smooth black runs or take North America’s highest chairlift to the top of Imperial Bowl. Ski Hill Grill at the base of Peak 8 is a great breakfast or lunch spot and for an upscale, delicious dinner featuring the freshest Colorado ingredients, including wild game, Blue River Bistro at the north end of Main Street or Ember on Adams Avenue are winning choices. For your last day in Breck, you should probably hit the mountain at least for a half day, landing on at least one of those challenging runs you’ve been eyeballing. In the afternoon, don’t leave without taking the family for an exhilarating flight down Gold Runner Alpine Coaster at Peak 8. For a treat before you leave town, stop by the crepe cart on Main Street for the most scrumptious dessert of your trip or indulge in one of the ogre fist-sized cookies at Mary’s Mountain Cookies. Want to learn more? 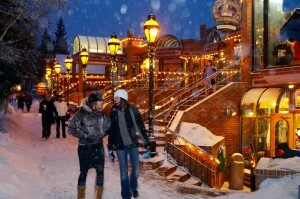 Check out any section on Breckenridge.com for detail on all things Breck.